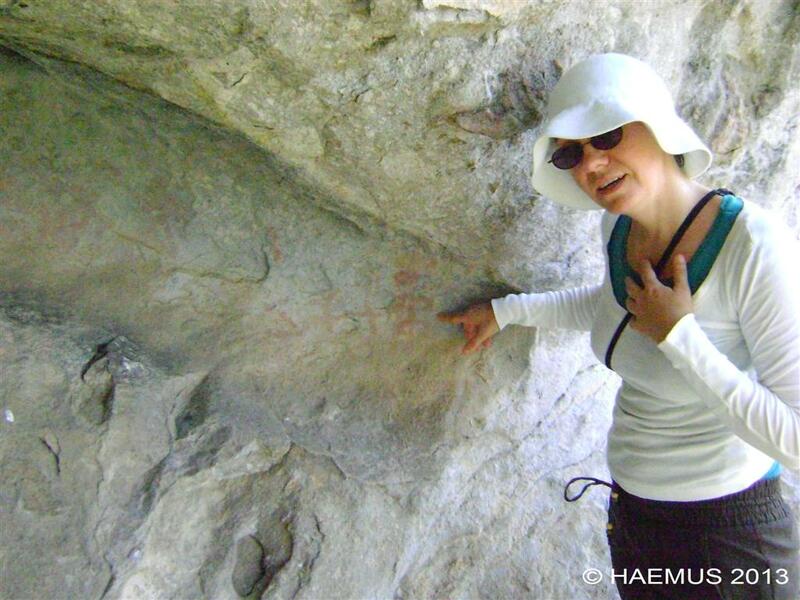 For a long time Republic of Macedonia was terra blanca in the field of rock art and prehistoric rock painting. 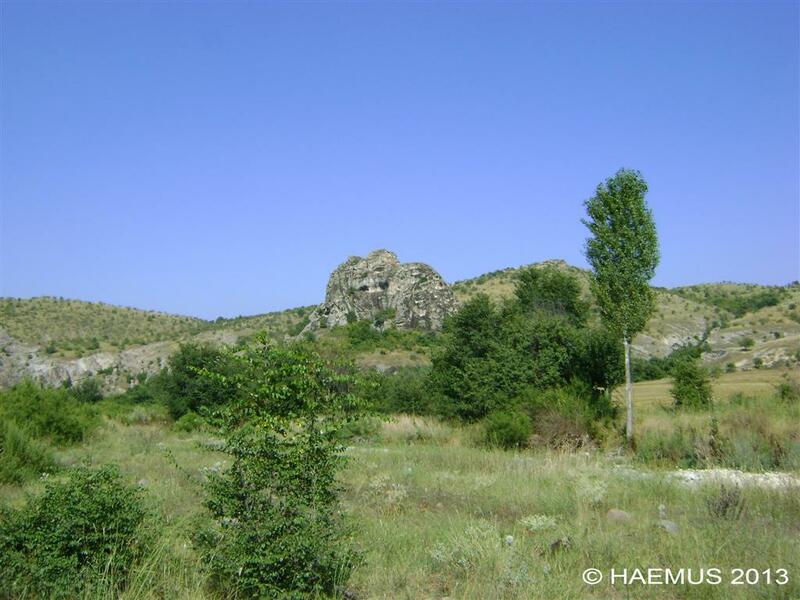 That is, until the discovery of Cocev Kamen, a rock from a volcanic origin consisting of caves and rock-shelters. It is believed that Cocev Kamen had been used as a temple from prehistoric times (Neolithic/Bronze age), throughout Roman times, up until the Middle Ages, due to the surrounding archaeological sites and the abundance of pottery fragments, as well as the flint tools. There are visible interventions on the stone surface everywhere, in the form of stairs, pools, thrones, and one big cave was completely rearranged, with a large part of its wall ripped off to make a fenced platform looking at the nearby hill, which contains big natural stones interpreted by the locals as megaliths. Considering the sacred purposes of the site combined, it is also believed that Cocev Kamen had been used as a prehistoric observatory, hypothesis which is not proved yet by the science. 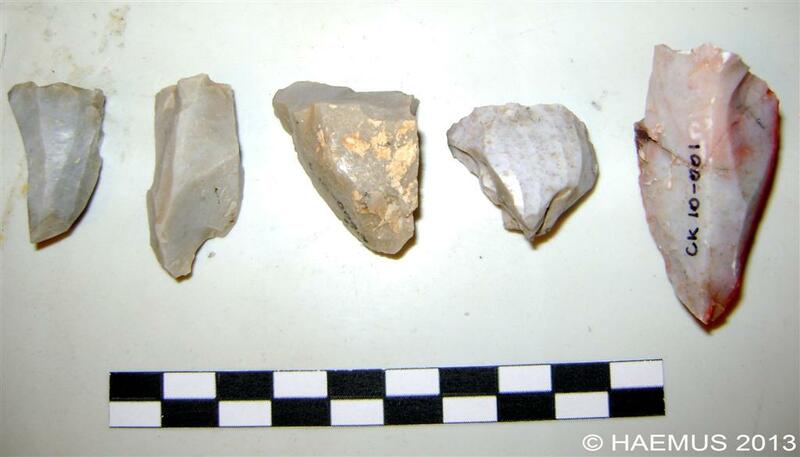 This topic instigated a big debate in Macedonian archaeology through the media, but none of the opinions made have been confirmed yet with a scientific paper. Some of the rock shelters are decorated with red figurative prehistoric rock art. The comparison with caves in Bulgaria, but especially with some rock paintings in Italy (such as Porto Badisco), indicates that these rock paintings belong to prehistory. Currently we are working on a scientifically paper to make a comparison of Cocev Kamen with some Balkan sites or maybe wider. Wish us a luck, because the site and science deserve for Cocev Kamen to be made known to a wider public. V. Dimitrovska, ‘Cocev Kamen, something more than just a rock!’ (in Macedonian), Kulturen zivot, Skopje, 2010, 30-37. И. Милевски, В. Димитровска 2011, Геоморфолошки и геоархеолошки карактеристики на Цоцев Камен, Географски разгледи (44-45), 5-19 (2011), Институт за географија, Скопје.